Gathered under a spacious tent on the grounds of RT Lodge in Maryville, Tenn., they blend right in with the tourists who flock to this part of Southern Appalachia every spring to take in the breathtaking beauty. There’s plenty to be found on the grounds of this bucolic resort, and whether they’re listening to presentations during the day or gathered around an outdoor fire pit at night, they laugh and smile and crack jokes with the ease of other men and women from any number of vocations. Their easygoing demeanors give no hint of the laser-like determination they bring to bear in the cockpit, the tarmac or the cabin of their respective airlines. In other words, it’s difficult to guess, given the absence of peaked caps and epaulets, that these are some of the nearly 600,000 aviation industry professionals who carried almost 700 million domestic passengers to points near and far in 2017. And it’s practically impossible, given the recovery that has granted them a new lease on life, to know that some of them were once grounded because of alcoholism or addiction. Every spring, Cornerstone of Recovery hosts an annual Aviation Conference at RT Lodge, during which carriers from across the country (this year, more than 12 were represented) send pilots, union representatives and Employee Assistance Program directors for continuing education. Over the course of a week, these men and women network with one another; learn more about trends and directives in their industry to address and treat substance abuse; and receive a crash course about the nature of addiction and recovery from industry professionals, including some from Cornerstone. “This is a well-known conference,” says Sally Lukas, the founder of Cornerstone’s Aviation Program who retired in 2016 as the coordinator but remains affiliated with the program as a consultant and liaison with the industry. 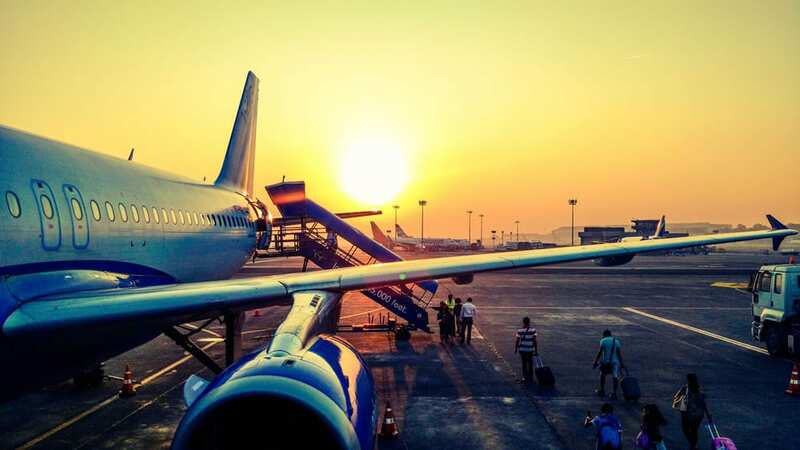 Although air traffic accidents are breathtakingly covered by the media, airplanes remain a safer method of transportation than automobiles: According to a 2008 report by the National Safety Council, the odds of dying in a motor vehicle accident is 1 in 98 during a person’s lifetime. For air and space travel? It’s 1 in 7,178, meaning that air traffic safety protocols for everything from plane mechanics to navigation technology to human involvement are protected by rigorous safeguards across the board. According to a 2015 study funded by the National Institute on Alcohol Abuse and Alcoholism (NIAAA), “about 4 percent of Americans met the criteria for drug use disorder in the past year and about 10 percent have had drug use disorder at some time in their lives,” meaning more than 23 million American adults have struggled with drug use at some point. In other words, it’s not an uncommon problem among all populations. Despite the misperception of drugs and alcohol afflicting the impoverished or the criminally inclined, addiction and alcoholism don’t discriminate by vocation. For the medical profession, roughly 10 percent are afflicted; 29 percent of lawyers in their first decade of practice are plagued by alcohol problems; nearly 8 percent of law enforcement officers meet the criteria for alcohol abuse or dependence. Addiction and alcoholism — clinically labeled as alcohol use disorder and substance use disorder — are chronic illnesses recognized by medical professionals and organizations around the world, and that’s a message presenters at this week’s conference emphasized repeatedly. HIMS stands for Human Intervention Motivation Study and “is specific to commercial pilots and coordinates the identification, treatment and return to the cockpit of impaired aviators. It is an industry-wide effort in which companies, pilot unions, and FAA work together to preserve careers and further air safety,” according to the program’s website. Its seeds were planted in the 1970s, before which time drug and alcohol problems were effectively career killers. “Prior to 1970, a pilot’s career was over, but in 1970, funding was approved to gather information on this sensitive subject,” Snyder said. Alcohol, and to a lesser extent drugs, were problematic in the industry before that time; because of the zero tolerance policy, those afflicted had few incentives to ask for help. In some ways, the rise of the commercial aviation industry paralleled the growth of alcohol culture in America, as a short play — “Severe Turbulence: A Theatrical History of HIMS,” presented by Cornerstone’s own Jeff Mangrum and the SST Theater Company — demonstrated. Prohibition ended in 1933, and as air travel became more readily available to the average American in the 1950s, pilots, flight attendants and aviation industry professionals were viewed as pop culture stars. 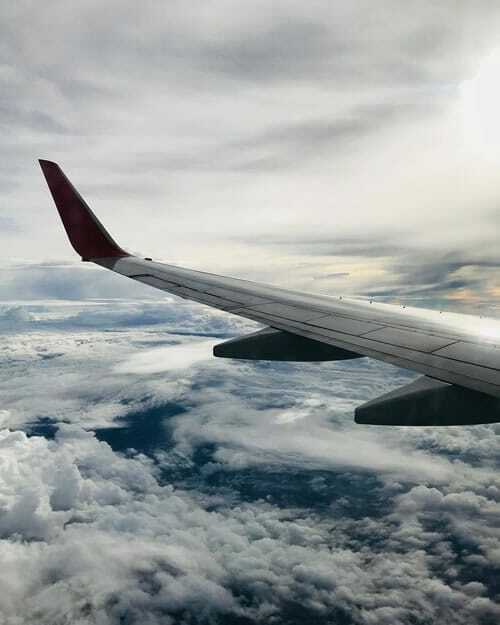 Air travel was an experience, and leaving the ground was an adventure. Lukas remembers those days well. The daughter of a pilot, she spent a good chunk of her childhood in the air, and she recalls how passengers used to dress in their Sunday finery to fly. During her 38 years as a flight attendant and as a union representative who helped establish a treatment protocol for her fellow attendants, the early days were replete with standards of beauty and revelry that made stressful jobs a little easier. And for some — Lukas included — it became a problem. It’s still a problem, but thanks to treatment centers like Cornerstone and conferences like the one this week in East Tennessee, the solutions are improving. Lukas left Northwest for Cornerstone in 2007, where she took a fledgling treatment track for aviation professionals and built a program that’s now one of the most respected in the industry. In 2005, Lukas attended the first aviation conference and found it was mostly a gathering of smaller carriers like ExpressJet and Pinnacle; when she took over planning and coordination three years later, her goal was to add other carriers. 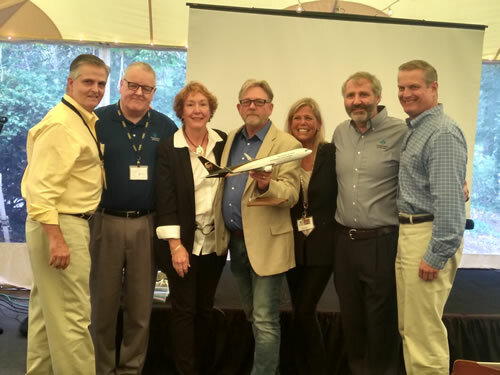 Representatives of UPS Airlines presented a model aircraft to members of Cornerstone's Aviation Program at this year's conference as an expression of gratitude for the partnership between the company and the treatment facility. For the aviation industry, that treatment has to meet certain rigorous standards that are unparalleled successes in the world of addiction recovery. Much of that has to do with the requirements those afflicted have to meet in order to return to duty. Because of the rigidity off those requirements, the industry works closely with certain HIMS-compliant treatment centers like Cornerstone, where staff members have a proven track record of success in treating those patients and working with the industry to complete all of the necessary paperwork in order to return those patients to the job. “These facilities are used to treating pilots, and they know how to produce the paperwork to satisfy the FAA,” Snyder told the audience. In 2018, Cornerstone treated more than 75 pilots as part of its Aviation Program; nationwide, HIMS protocols have returned roughly 6,000 pilots to the cockpit since the 1970s, and the success rate of program completion is higher than it is for any other industry: More than 80 percent of aviation professionals who complete treatment never relapse. “Other programs don’t get our kinds of numbers,” Berry says. Each airline is responsible for its own HIMS protocols, while the FAA provides a HIMS contract to each carrier. The FAA provides funding for seminars, databases and advisory boards, but the individual programs are funded by the companies themselves and the various industry unions. There were 1,273 Special Issuances given in the past four years, Berry points out, and since the advent of the HIMS program 43 years ago, there hasn’t been a single drug- or alcohol-related airline accident. At the same time, the goal of the industry dovetails nicely with the overarching theme of this week’s conference: addicts and alcoholics in the airline industry need treatment, not punishment, and that doesn’t have to mean the end of a career. “We want to get you back in the cockpit,” Berry said. Every year, the industry comes to East Tennessee to help determine ways to do just that. There’s always room for improvement, but first and foremost, Lukas says, the emphasis has to be on acknowledging the humanity of those involved: Their frailties, their recovery and the grace that an effective treatment program, carried out at facilities like Cornerstone in partnership with the industry and federal oversight, can give them. She’s keenly aware of that need because she received it herself during her own trials and tribulations. 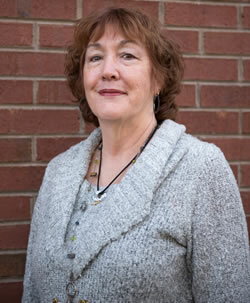 And as a woman responsible for bringing many in the industry to treatment, she’s emotionally invested in the outcomes. She sees it everywhere she goes, including at RT Lodge, where a half-dozen or more of those in attendance once came through Cornerstone to find a new way to live. Casting her eyes out over the crowd assembled in the rustic dining area of the main cottage, she smiles. Her eyes get a little misty. And despite her official-but-not-really “retirement,” she can’t see herself not being a part of this gathering of hope.